The International Journal of Population Data Science (IJPDS) is an electronic, open-access, peer-reviewed journal focussing on the science pertaining to population data. The creation of the IJPDS was inspired by the International Population Data Linkage Network (IPDLN). 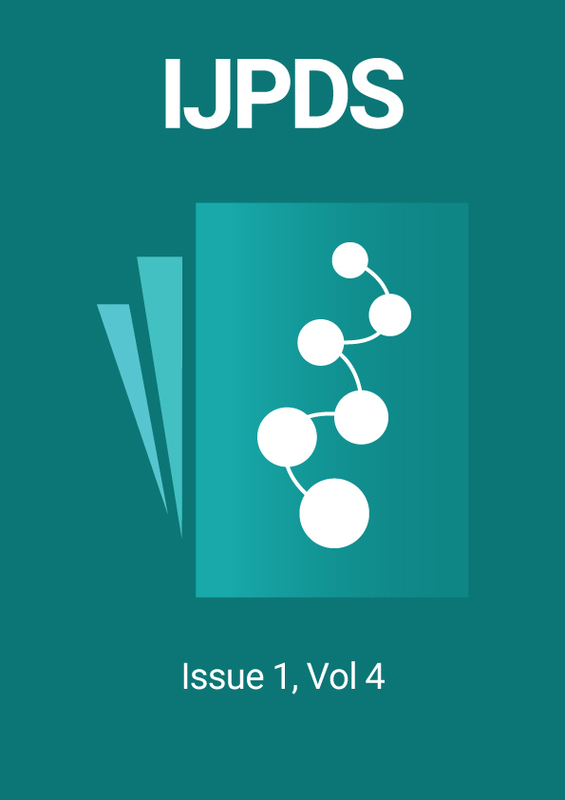 The journal has a regular section for topics of particular interest to the IPDLN sub-edited by the Director(s) of the network. If your research is funded by UKRI (RCUK)* then you can apply for help with Article Processing Charges (APCs)? The UKRI (RCUK) block grant is now available to its funded researchers to help pay article processing charges (APCs), enabling authors to comply with UKRI (RCUK)* open access policy. IJPDS is fully compliant with UKRI (RCUK)'s funding criteria as listed on SHERPA/RoMEO and in our author guidelines. Follow this link to check whether your organisation is in receipt of UKRI (RCUK) open access block funding 2019. At IJPDS we value research that truly impacts society. We are uniquely committed to connecting academia with the public and keeping them informed of exciting new research as it unfolds. The IJPDS' innovative model brings a new dimension to the traditional academic journal format by informing the public of the latest research and providing authors opportunities for direct impact and even greater visibility. In the field of Population Data Science, arguably the most important audience for your work are the ultimate beneficiaries, the public. This is where IJPDS authors can create the greatest impact of all. To help authors disseminate the complex content of manuscripts published in IJPDS to this audience, we offer a service through The Conversation, which is an influential and independent channel for research news and views. Articles selected from the academic and research community for publishing in The Conversation are delivered directly to the public in an easy to understand general reader format, prepared by the authors from their original published manuscript. The Conversation is truly international with Editors based in the UK, Australia, US, Africa and France, that are working with more than 55,000 specialist scholars and researchers. It is a not-for-profit, open access educational entity that provides a free on-line resource to help provide the public with clarity and insight into society's biggest problems. Watch this video to find out how Emily Marchant, PhD Researcher from Swansea University, benefited from writing for The Conversation, or follow this link to find out more about The Conversation and to see previously published articles. The Conversation can help IJPDS authors to achieve essential impact. Articles are disseminated to more than 22,000 sites worldwide, giving a global reach of 35 million readers a month, and The Conversation is a primary resource for up-to-the-minute content for the press, web, radio and TV. Put simply, The Conversation unlocks the knowledge of researchers and academics allowing for better understanding of complex issues and a better quality of public discourse and conversations. We encourage every author that publishes a manuscript in IJPDS to take full advantage of the service offered through The Conversation. As soon as your manuscript is published, we will contact you by email offering you the possibility of writing an article for The Conversation. For authors wanting to take advantage of this service, we will forward your published manuscript* to IJPDS' designated Editor at The Conversation who will review the suitability of the content. Successful applicants will then be introduced directly to the Editor who will work closely with them to create the finished article. As an e-journal, IJPDS has the flexibility to publish approved manuscripts immediately without having to wait for each Issue. As soon as a manuscript is ready, we ensure that your work is instantly available to the right audience via Open Access giving authors the greatest possibility of citations. IJPDS benefits from an established specialist global audience spanning six continents within the field of population data science through its strategic partner, the International Population Data Linkage Network (IPDLN). We publish articles from around the world in order to highlight how the field of population data science is impacting societies globally. The IJPDS has a particular interest in engaging with the public, the ultimate beneficiaries of population data science research, which sets us apart from other scientific journals. We value research within the field of population data science that truly impacts society and are uniquely committed to connecting academia with the public to keep them informed of exciting new research as it unfolds. At IJPDS we appreciate that good quality research is presented in different formats. From 1st January 2019 all manuscript submissions will be subject to Article Processing Charges (APCs). However, we are delighted to be able to offer a 25% discount on all manuscript submissions for the first 12 months*. Please view the author guidelines for individual prices. Whilst we are committed to keeping our APCs competitively priced for our authors, we must ensure the sustainability of IJPDS by covering all costs associated with the open access publishing process, from initial submission through to final publication and promotional activities. Therefore, we will only ever charge what is necessary for the welfare of the journal and the satisfaction of its contributing authors. Sharing the data that accompanies your published research is a positive growing trend for the research community. Whilst we recognise that it is not always possible to share all data openly for ethical or confidentiality reasons, IJPDS encourages the sharing of non-sensitive raw data along with details of the software used wherever possible. Benefits to the research community – Datasets are valuable to the research community and re-use of data avoids duplication of effort and the associated costs. This, in turn, can stimulate further research. Benefits to the public – Stimulating further research through data sharing wherever possible is in the public’s interest as it can help accelerate the pace of research and its subsequent impact. Satisfying Funders – Research funders are increasingly stipulating the sharing of data as a requirement. For example, in the UK, the ESRC stipulates that grant holders must formally deposit all data in a responsible data repository. Increase research impact – Publishing your data is not only a good way of demonstrating that you were the first to conduct the research, but if your data is re-used, then you will benefit from citations in addition to the accompanying article. Scientific Integrity – Sharing data allows others to replicate, validate, and correct your results thereby adding to the integrity of the science. For details on how and where to submit your data, please refer to the Author Guidelines. The Baby Hearts Study – a case-control methodology with data linkage to evaluate risk and protective factors for congenital heart disease. We invite you to submit a concept dictionary entry for consideration in this special issue. IJPDS would like to present a call for research articles for a special issue on ‘Population Data Centre Profiles’. Our overriding aim is to foster new opportunities for international collaborations in Population Data Science. Having a published profile of the data centre is an excellent way to document the work, raise awareness, share expertise and act as the seminal paper for future reference. IJPDS is now accepting new submissions and publishes on a continual basis. To submit a manuscript, you will be asked to register. IJPDS accepts a wide variety of manuscript types. Please refer to the author guidelines for the full list. By subscribing you are giving consent for IJPDS to keep you updated by email. Your details will be held in MailChimp and IJPDS will not share your personal data with any third party organisations. By signing up, I agree to the use of my personal data as explained in the IJPDS privacy notice.